Kenya has become the proverbial hotbed of online sports betting in just under two years. SportPesa set this ball rolling in early 2014 and its only getting bigger since they got into the market. As of this writing, we now have SportPesa, EliteBet Kenya, Betway Kenya, Betin Kenya and the latest entrant mCHEZA. Going forward, it seems inevitable that other major global players will come to Kenya such as Bet365 and William Hill. We are only just getting started. Apart from online sports betting, we also saw the launch of Lotto Kenya which is an online gaming company that has also grown by leaps and bounds since launching recently. It seems that Kenya is proving to be a lucrative market for online sports betting and gaming as SportPesa even went as far as sponsoring the Kenya Premier League (KPL) – they must be making bank! It does not hurt that all of these businesses are using mobile money as their primary channel for placing bets and making payments to winners. One thing I love about Safaricom is how often they keep reinventing themselves to the detriment of their competitors. Everyone else seems to be always playing catch-up as they continuously keep moving goal posts. My prediction for 2016 is that Safaricom will get into the business launching its own digital content division. It seems logical in my view as they need to become more than pipes for voice, messages and data. Safaricom has the potential to become a major digital content player – be it on-demand video content à la Netflix and/or building digital content platforms in the same groove as OLX (classifieds), Jumia (e-commerce), and the Daily Nation (news). This is a trend thats happening with mobile networks globally as they seek to diversify their revenue sources and fully leverage their massive customer bases. Also, it does not hurt that Safaricom controls M-Pesa which would be the perfect channel for monetizing their own digital content offerings. It almost a done deal that Orange (read: Telkom Kenya) will be sold to Helios Investment Partners (Helios) at some point next year, pending regulatory approvals and other considerations. That being said, once Helios owns it, what happens next? Everyone seems to be waiting with bated breath as to what strategic steps will be taken. My prediction is that Helios will form joint venture with a well established and innovative African mobile network to really make their investment work. Off the top of my head, Equity Bank’s Equitel (also known as Finserve) could be a possible candidate given that Helios had a long standing relationship with Equity Bank until they exited earlier this year. However, Equitel is relatively new and being a mobile virtual network (MVNO) operating on Airtel’s network in Kenya, they have limited scope at this time. However, if Helios were to partner with deep pocketed MTN who are formidable on a Pan African basis, they actually stand a better chance of making a serious dent on the behemoth that is Safaricom. Its been a long time coming but pending regulatory approvals and licensing considerations that will happen in 2016, Airtel is in pole position to become Kenya’s second 4G network. This seems more than likely since Airtel looks set to leverage shared mobile network infrastructure which may or may not include Safaricom’s 4G network according to recent media reports. 4G is fast replacing 3G mobile networks globally and it also offers numerous use cases for businesses and individuals alike. Indeed, its become a matter of strategic importance on many a national agenda as falling behind is not acceptable from a competitive perspective. The Communications Authority will make expanding 4G access a major priority next year and Airtel will benefit in the process. This is not the sort of thing that anyone wants to happen but its become painfully obvious that Safaricom is the only mobile network in Kenya thats actually making any decent money. As a result of their market dominance, it seems likely to me that in 2016 regulations will be passed by the to curb Safaricom’s dominance. This could include the creation of an independent and impartial M-Pesa company whilst also reducing transaction fees. Safaricom will most probably have to share its 4G network with competitors as a means of achieving parity for all mobile networks in Kenya. To me, it just seems inevitable that something is going to give in 2016 where Safaricom is concerned. The status quo ‘as is’ seems unsustainable. As much as on-demand digital services like Uber, Easy Taxi, Sendy and others gained serious traction in 2015, my prediction is that this was simply the start of a massive paradigm shift that will escalate into the mainstream in 2016. On-demand digital services will come in all sorts of shapes and sizes for all kinds of use cases. I can imagine services that will make matters as trivial as shopping for your groceries go on-demand. I can imagine an on-demand ‘premium’ matatu service as well as on-demand house help for your house to do the cleaning. 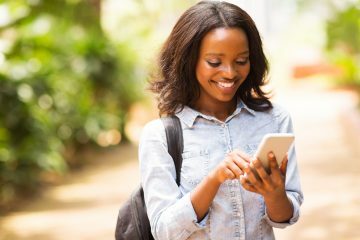 An on-demand revolution is coming to Kenya in 2016 and at the end of it we will be inundated with numerous options for services that seek to grant instant gratification for anything and everything we may need – from our smartphones. This particular prediction may seem like a long shot but seeing that we already have smartphones selling for Kes. 5,000.00 my big bet is that we will see the first Kes. 3,000.00 smartphone in Kenya sometime in 2016. The smartphone in question will mostly likely be running Google’s Android and quite possibly may or may not be 3G capable, meaning it may run on slower EDGE Internet instead. That being said, the fact it would be able to support mobile apps like Facebook Lite and WhatsApp, it would be perfect as a entry-level smartphone for first time users coming from feature phones. 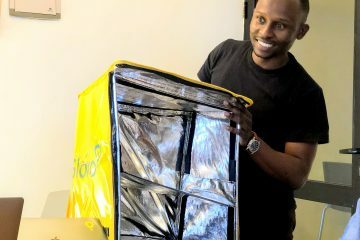 This smartphone could be the first Internet experience that many users in Kenya will have, especially those living in rural parts of the country. My guess is that Safaricom could lead the charge in this respect given that they are already selling the low-cost Neon range from Vodafone so simply lowering the price for the same in 2016 to Kes. 3,000.00 could achieve this ambitious price point. 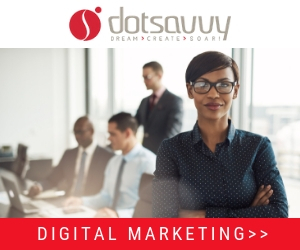 There are a number of estimates that various credible sources have made about digital ad spend in Kenya at the moment and the average seems to be around 5%? This is still a tiny amount compared to how much ad spend goes towards TV, Radio, Print and other media. My prediction is that by the end of 2016, digital ad spend will grow to 10%, or more. My rationale for this doubling is that increasingly traditional media is becoming less ubiquitous as media consumption is aggressively shifting to digital channels like mobile. At the same time, traditional media is also becoming significantly more expensive looking at the latest rate cards. The convergence of these two major factors will lead advertisers to shift more and more of their media budgets towards digital media, which in turn will also make it more expensive to buy going forward. In the blog post I did earlier this week here, I noted that mobile Internet data bundles in Kenya saw a price drop of 70% or so in 2015 when Safaricom and Airtel reduced their prices. That means that the majority of consumers are getting 3 times the data they used to get on their bundles for the same price. I think on this basis that its inevitable that in 2016 we will see unlimited data bundles that will be priced to enable mobile subscribers to consume more streaming video and audio content on an ‘always-on’ basis. Data-driven reports already suggest that Kenyans are consuming enormous amounts of streaming digital content on platforms like YouTube. If mobile networks are to take full advantage of these trends, they need to provide unlimited data bundles that consumers can actually afford in Kenya. Mobile networks in Kenya could also do strategic partnerships to enable cost-effective data bundles for consuming premium content like EPL football games for a limited timeframes only. 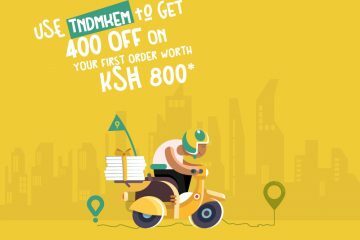 E-Commerce is on a roll in Kenya although 99% of payments are done on a cash or mobile money basis with only 1% going towards credit and debit cards. It is also well-known that e-commerce is happening on an informal or unconventional basis using Facebook Pages and Instagram profiles, as well as typical platforms like OLX and Jumia in Kenya. However, one thing that is certain is that there is lots of room for improvement where e-commerce logistics in Kenya are concerned. The reality is that most deliveries take days from being ordered and its kind of clunky to be honest based on personal experiences and talking to others. Therefore, the next big thing going forward will be businesses that are dedicated to executing e-commerce logistics on an end-to-end basis. This means companies that will handle all the back-end functions for order fulfillment from warehousing to dispatch, delivery, and even returns on a same day or even hourly basis. Imagine the prospect of ordering an item at 9.00 am and it being delivered to your office by 10.00 am the same day. This will start happening next year in Kenya as far as I am concerned from an e-commerce logistics perspective and will become a serious competitive advantage for the businesses that are able to pull it off. “Unlimited” data bundles are actually unrealistic and unsustainable, so i don’t think this will ever happen unless it’s the Kenyan version of unlimited (caps, reduced speeds, ridiculous time limits etc ). Yes, yes, i know zuku offers unlimited but its still unlimited in quotes. What we need is affordable data bundles that target heavy users. Safaricom had introduced a 50GB bundle that was “affordable” before somebody decided otherwise and revised the pricing to something that only NYS thieves can afford. The telco that will have a bundle in the region of 50 to 100GB at a price range that hovers between 4-7k will make a killing. Such heavy users exist, they are willing to pay but the current offering are just too expensive and unrealistic. Great predictions full of many innovations which are vital for the growth of the country’s technology sector. I am caught up with ”Orange will be recast as MTN kenya”. The company has lost some clients over the past 5 years in Africa. It will be a great deal if they give way to good players and invest in other sectors. 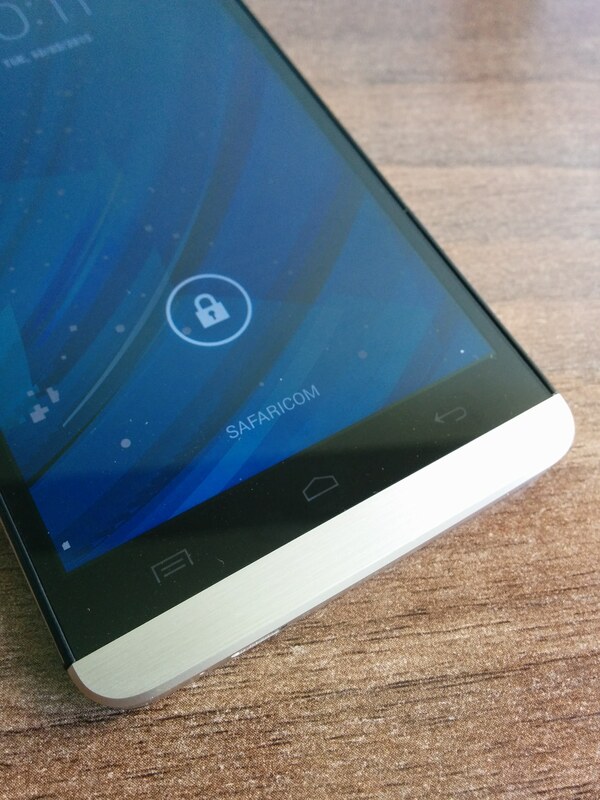 what is the first 4G network in Kenya?